We’ll Meet Again will appreciate the step up in distance when he heads to Kilmore on Tuesday. The son of Eprom Derby winner Pour Moi runs in race five, the Maiden Plate over 1600m and will be ridden by Patrick Moloney. Mike Moroney feels the soft (5) track will suit We’ll Meet Again. 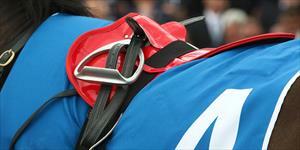 “The track is listed as a soft which should have a nice amount of give in it,” Moroney said. We’ll Meet Again resumed with an eighth place finish over 1400m at Sale however, Moroney said there were legitimate excuses. “He’s drawn nicely and should be able to go forward - he got flattened soon after the jump at his last start and that effectively ended his race,” Moroney said.